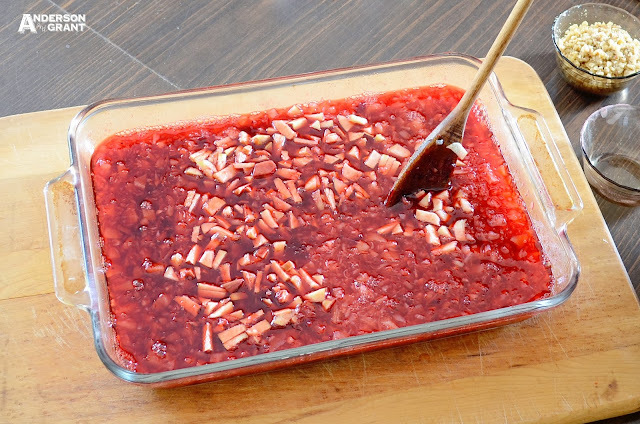 One side dish that is always on the table for our Thanksgiving celebration is Cranberry Jello Salad. 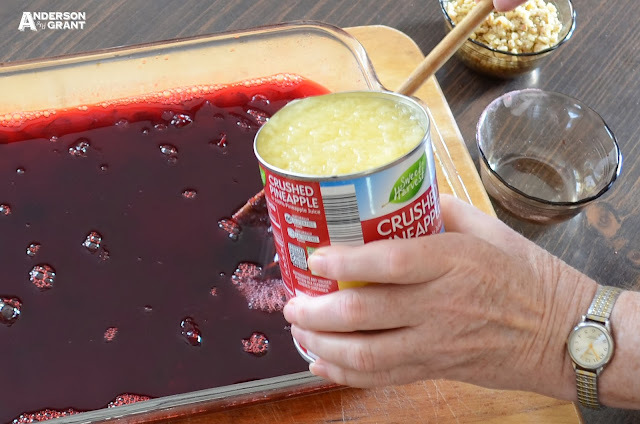 Cranberry sauce is one of those Thanksgiving staples that everyone seems to have for their family and I think this jello salad is a great twist on having the basic sauce. 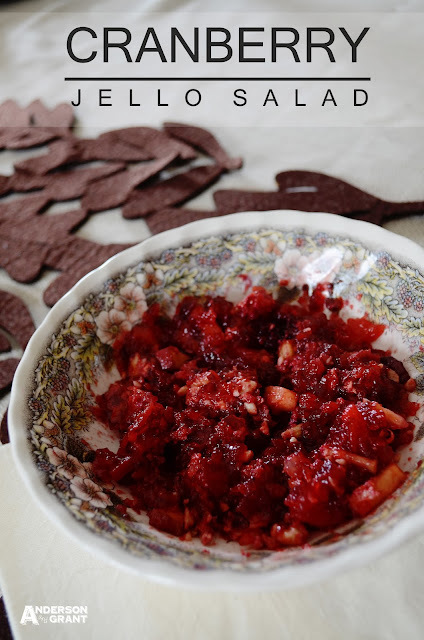 It is another recipe passed down through the family from my grandma and couldn't be easier to put together. My mom helped me out by making the salad for this post....it was so nice to be able to stand back and just be the photographer for a change! Thanks Mom! All of this can be mixed in one 9x13 glass baking dish. 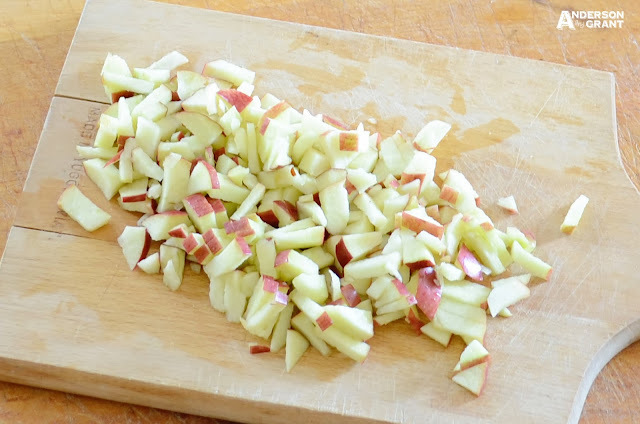 You'll need to dice your apple into small pieces before starting. 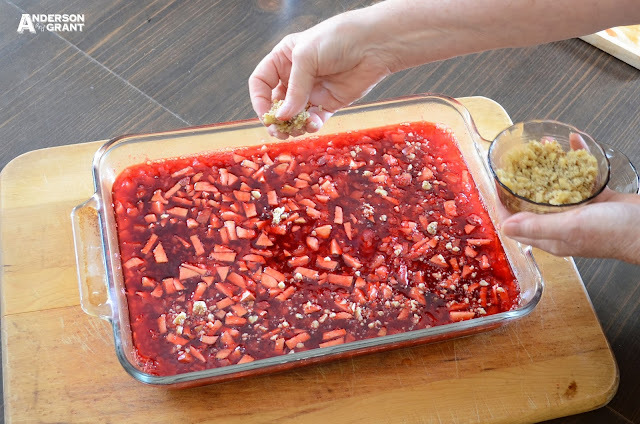 Pour the 2 cups of boiling water into the baking dish, followed by the jello. Stir together to dissolve. 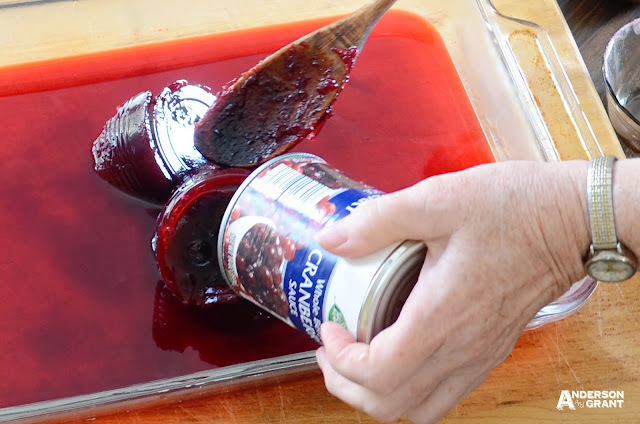 Add the can of cranberry sauce and use your spoon to break the sauce apart in the water. Pour in the can of pineapple and its juice. 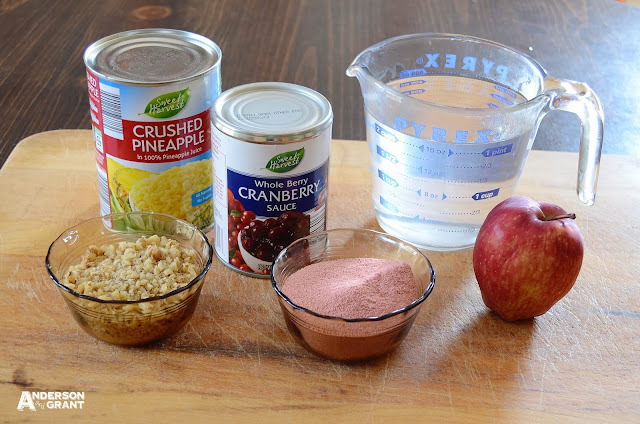 Add the diced apple. Mix all the ingredients together. 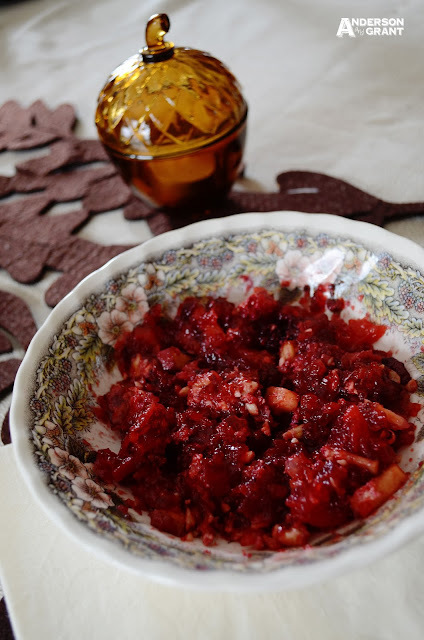 Top with a sprinkling of walnuts. 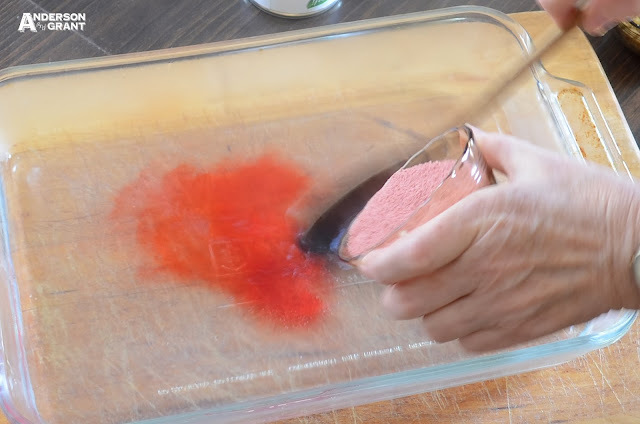 Put the dish into the refrigerator and chill until it is set. 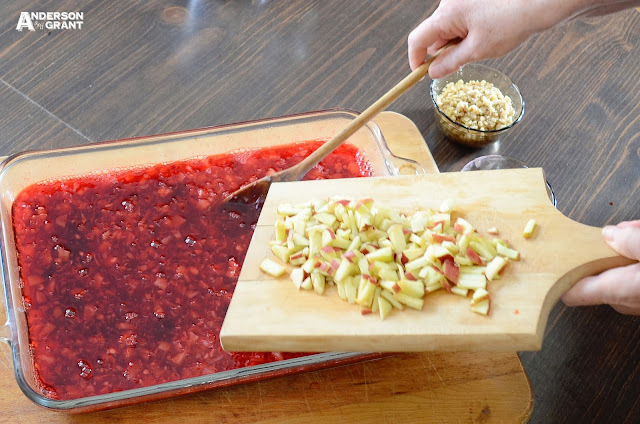 When serving the Jello, it can either be cut into squares and served on a plate or break it apart and serve it in a bowl. Either way, it is a delicious addition to your Thanksgiving meal! 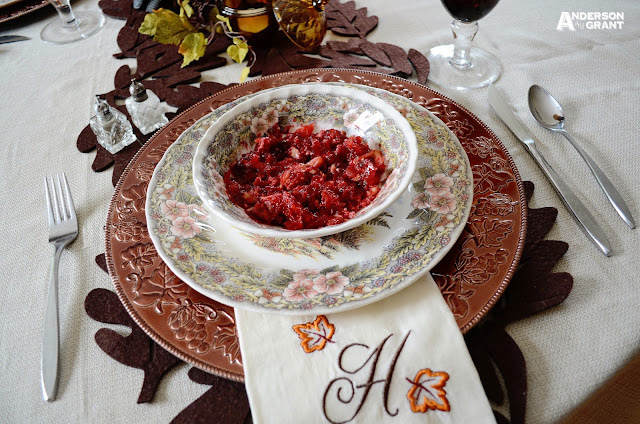 Do you have any traditional dishes that you are serving this year?